A typical day on fieldwork in Tanzania starts with the familiar white Toyota Landcruiser driving up the hotel driveway; the team (4 guys) squashed in the back seat. I clamber up next to the driver. “Habari asubuhi?” (What news of the morning? i.e. good morning) “Mzuri. Salama” (good, peaceful). We head off to our fieldwork collection sites on the banks of the lake. Sometimes it's an hour away, sometimes we have to travel all day, use a ferry to cross the lake and stay in rural areas for a couple of weeks. Two of the team get a small man-pulled dredge out and negotiate with the boat owner a price to take them less than 10m into the lake. When the team return with a dredge full of snails, mud, bits of plant and bivalves I pick up my forceps and start sorting through the mess, carefully picking out the small species of snail I am looking for, placing it in a container of water to be taken back to our lab. I am doing fieldwork on the banks of Lake Victoria, in rural villages of the Mwanza region of Tanzania. My fieldwork involves collecting specific snail species from the lake and also going into local primary schools and collecting faecal samples from children ages 7 to 12. The link? 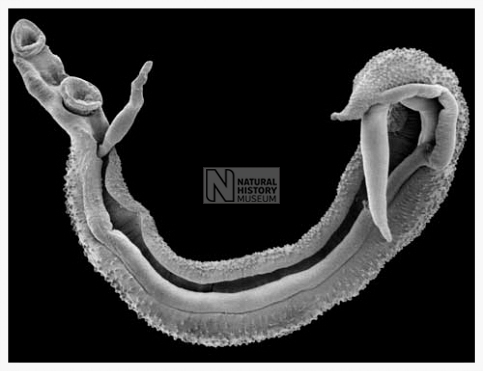 A parasitic worm called Schistosoma, aka the blood fluke, whose life cycle involves humans and aquatic snails. It causes a disease called Schistosomiasis (aka Bilharzia). Over 200 million people worldwide are infected with over 700 million people living at risk of infection. It is a disease of low socio-economic status, affecting the poorest communities and most neglected, vulnerable people. Infants and children are especially prone to infection and the damage caused by schistosome worms can lead to blood in urine, painful urination, diarrhea, bloody stool, anaemia, stunted growth, enlarged liver and spleen, bladder and liver damage. In certain cases early childhood infections can lead to bladder cancer, increased risk of HIV infection, kidney failure and liver fibrosis in adulthood. Thankfully there is an effective oral drug called Praziquantel that kills the adult worms in humans, but it is the only drug effective against all species of this parasite. If the parasite develops resistance and the drug stops working there is currently no alternative treatment. 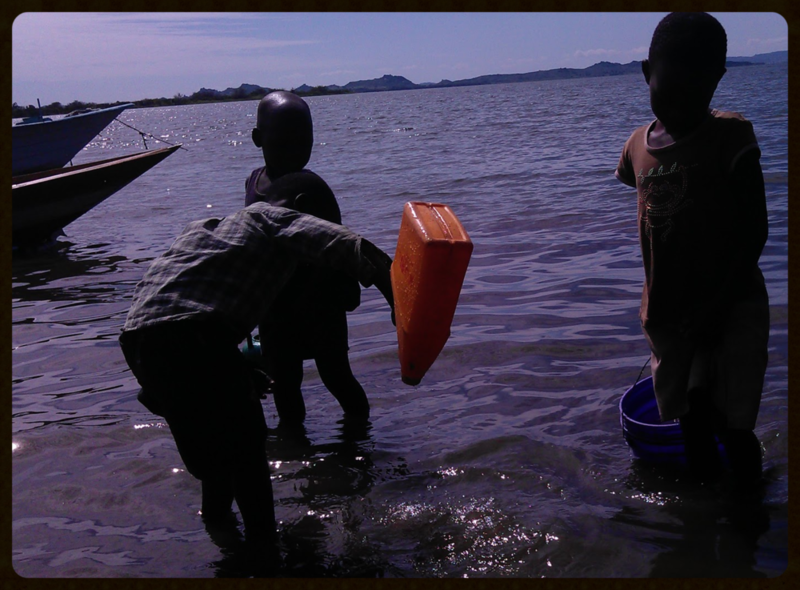 Children collecting water from Lake Victoria. An ideal schistosomiasis transmission site. The research group I work for at the Natural History Museum is involved in different projects working with the ministries of health and education, NGOs (e.g. Schistosomiasis Control Initiative), the World Health Organisation as well as medical research institutes, in several sub-Saharan African countries. The projects I work on focus on using genetic techniques to monitor how the schistosome worm populations respond to annual or biennial mass treatment campaigns in Tanzania. When we go on field trips we collect snails from the water contact sites of the schools on Lake Victoria. Once the snails are put in individual little wells with water we use the microscope to check each well looking for the larval stage that emerges from the snail, ready to infect a human. Armed with gloves, a microscope and a pipette, we “fish” out these larval stages, placing them on special paper that stores their genetic material. We also visit schools to collect stool samples from infected children. The parasite species I work on (Schistosoma mansoni) lives in the blood system of the liver and intestinal tract of humans, thereby making it impossible to directly collect samples from infected people. However the eggs of the schistosome worms come out into the environment via faeces. 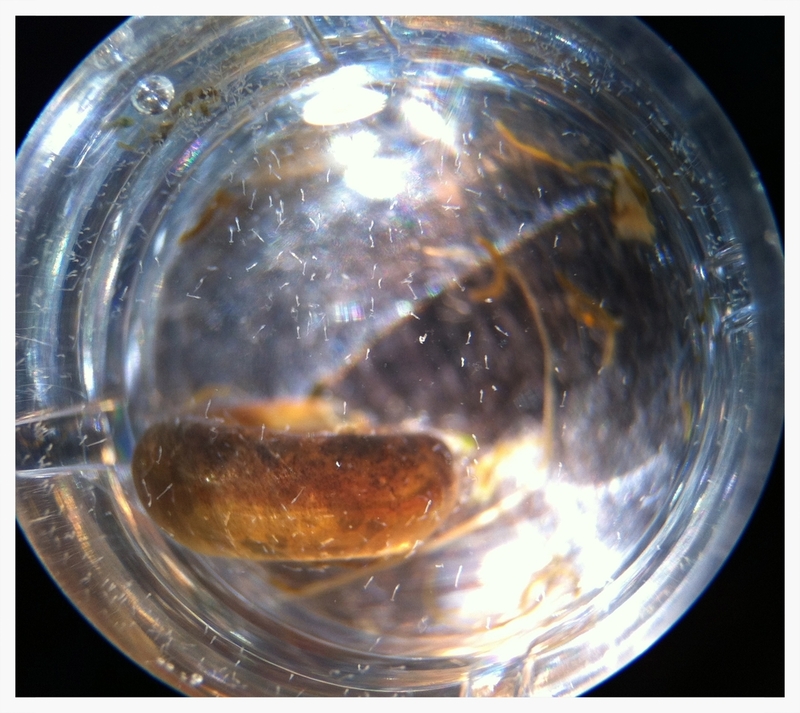 The eggs are then washed out into the lake and hatch out into another larval stage that infects snails. This is why we collect stool samples from infected children. W filter out the parasite eggs from the stool samples, place the eggs in water to allow them to hatch out into the larval stage and again armed with my trusted microscope and pipette I go schistosome fishing. After collecting a sufficient number of these schistosome larval stages from infected children and snails, I then return to the UK with a suitcase full of innocent looking cards, each one carrying lots of schistosome DNA samples to be added to our Schistosomiasis Collection at the Natural History Museum (SCAN) and ready for analysis in the molecular laboratories of the Natural History Museum. Being tested for malaria - the clinician is squeezing blood from a finger prick onto a microscope slide to look for malaria parasites in my blood. As glamorous and grand as travelling to tropical zones, visiting rural schools, collecting snails with meshes and sieving stool for parasitic eggs may sound there are drawbacks, believe it or not. The paper work involved beforehand, the uncertainty of field trip dates, vaccinations, medications, risk assessments and protocols, the ordeal of the trip itself; overnight flights, challenging airports, uncomfortable car seats and usually no toilets. But you get used to those, eventually you develop your own coping mechanisms (read Gin&Tonics). Still apart from the expected obstacles and challenges there are always surprises. I've had to push a car out of a dirt road that had changed to a river overnight. I have slept on the ground in a small room neighbouring the sheep shed. In Cameroon a scruffy piece of paper with 'Airplane Taxe' hastily scrawled on it successfully deprived me of all my dollars before I was allowed to get my flight. In Niger after a week of illness I was diagnosed (and treated by the excellent doctors on my team) for malaria. I have been mocked by the village lunatic on numerous occasion (it's a common occurrence that the 'crazy old lady' of the village homes in on me as soon as I step out of the car). In fact a whole village of smiling, laughing women and children, gasped in shock and descended into stunned silence as soon as I stepped out of the car. I was the first Caucasian they had ever seen. Throughout the day the children would sneak behind my chair whilst I worked and suddenly I could feel little fingers touching my hair and skin. The moment I turned my head they would run away yelling. However this time in Tanzania it was a particularly challenging and eventful experience. My hotel room was targeted by a thief. I went for breakfast and came back to find my laptop, camera and iphone missing. We reported this to the local police which took a whole day of driving back and forth from the police station to the little hotel. And the end result was that the police chief used the police forms to get my Tanzanian mobile number and send me romantic text messages in broken English. That, for me, was the most disturbing part, but after I convinced him I was engaged to a millionaire, with a licence to kill, and a personal friend of the president of the United States of America etc he backed off and left me alone. My next trip to Tanzania will hopefully be in January 2014. Fingers-crossed things will go more or less according to plan, but I'm sure there will be some unexpected adventures. As schistosomiasis is my area of research there will be plenty more about this topic. Watch this space.